Get hyped – my first appearance of the year is at the New Dimension Comics 2-year anniversary event at the Ohio Valley Mall! That’s right, New Dimension Comics has been in business at the Ohio Valley Mall in Saint Clairsville, OH for 2 years. They’re having all kinds of sales that day, plus a special prize giveaway. 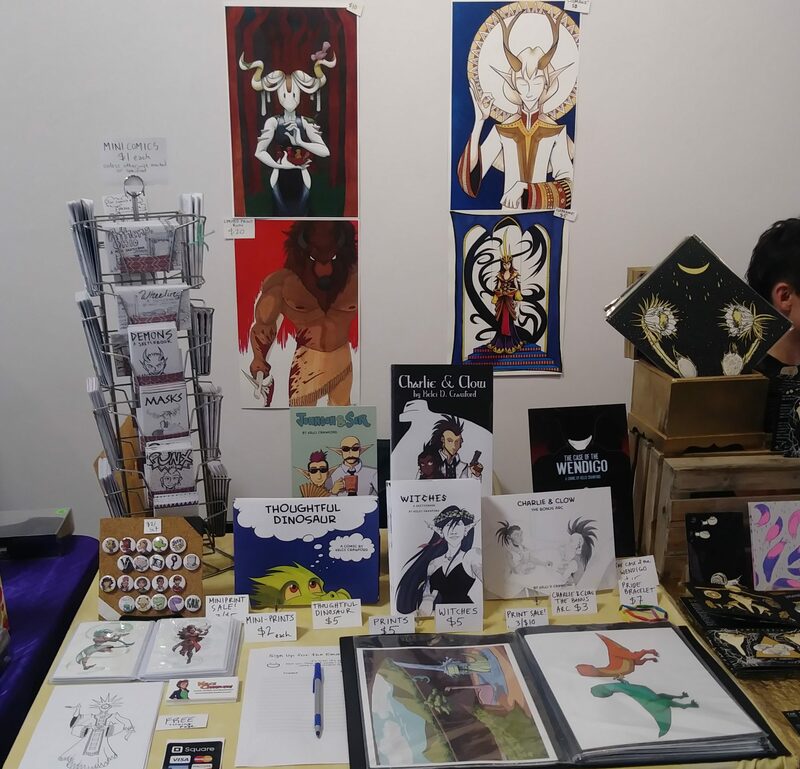 Double plus, they’re letting me set up a table to sell my wares! So if you’re a local, and you haven’t picked up a copy of my new book, Witches: The Sketchbook, come on over February 3rd from 11 am to 6 pm. 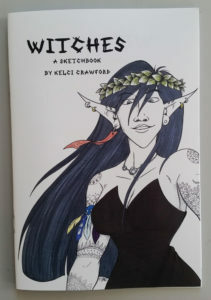 If you can’t make it for whatever reason, I’ve got ya’ covered: Witches: The Sketchbook is also available on Storenvy. You have to make it to the New Dimension Comics at the Ohio Valley Mall in Saint Clairsville, OH February 3rd between 11 am and 6 pm. Leave a comment below to let me know what you would like me to draw. Keep in mind these sketch cards are wee – 2.5 inches wide and 3.5 inches tall. Please keep it safe-for-work: this is a public venue and kids will be around. Depending on how it times out, I may even have some information about the KickStarter campaign for The Case of the Wendigo. Is it too late to ask for a sketch? If not I would love a Wonder Woman to add to my Kelci collection :D I can’t wait to see you at the event!